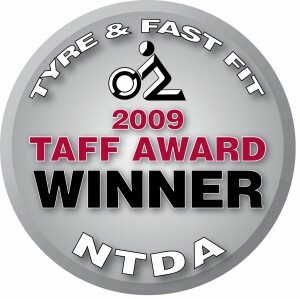 Continental was awarded the highest accolade by members of the tyre industry this week (23 September) after being named Manufacturer of the Year 2009 by the NTDA (National Tyre Distributors Association) at the Tyre and Fast Fit (TAFF) Awards. The company scored a double hit at the event, also taking the Industry Advertising campaign award for its popular Great Days Out campaign. Continental was recognised by voters as Manufacturer of the Year for a number of reasons. From the latest generation of truck tyres with industry leading fuel saving technology and innovative products such as the ContiSeal, the puncture resistant car tyre and the revolutionary CSEasy, a solid industrial tyre that can be fitted without a mounting press, Continental has a well earned reputation as a leader in tyre development. 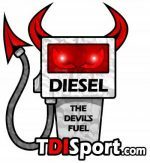 This is backed by consistently high performance in leading independent tests. Continental and Uniroyal car tyre products currently have a total of 11 Best Buy accolades with Which? magazine. As well as delivering the highest quality products to its customers, Continental also prides itself on working closely with retailers to understand and improve their business. Their approach helps retailers to win new customers, increase profitability and improve customer service and therefore retention. With this approach, Continental adds real value to the customers business which is particularly important in the current climate. The Industry Advertising Campaign of the Year award was taken by Continental’s biggest ever consumer promotional campaign, Great Days Out, launched in March this year. With over 300 days out selected across the UK and Ireland, the www.conti-offers.co.uk website offered great savings on a fantastic range of activities. Appealing to both families wanting the fun activities for the kids and individuals discovering new pastimes, the website received a huge number of hits introducing the Continental brand to new audiences. The success of the campaign is illustrated by the figures showing that press advertising reached 40% of all adults (19.2m) and online advertising delivered over 14 million page impressions.